Home Products Solac Hair Straightener Adjustable Temperature Ceramic White "Oil Sense Remedy"
Solac Hair Straightener Adjustable Temperature Ceramic White "Oil Sense Remedy"
The Oil sense remedy hair straightner from Solac will leave your hair silky smooth and soft. ||170-220º C. with ceramic plates enriched with a blend of jojoba and macadamia oils||The Oil sense remedy hair straightner has IONIC technology to reduce frizzy hair. It has a safety auto-off function. Ultra-fast heating: ready in 40 seconds. Oil sense remedy: ceramic plates enriched with a blend of jojoba and macadamia oils, for a perfect-looking hair. hair feels nourished & protected. 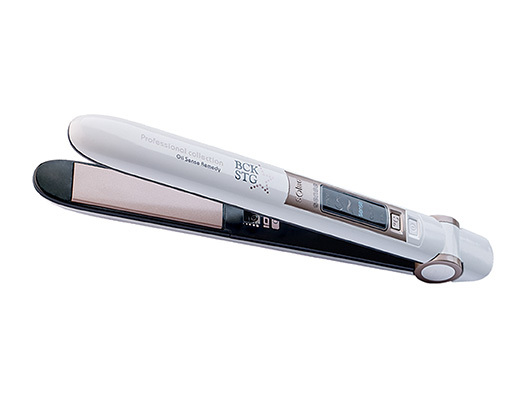 Auto-sense control: automatic temperature setting to suit the hair texture. Ionic anti-frizz technology: smooth glide, without pulling. Electronic temperature control system: protects the hair from overheating, with a constant temperature. 6 temperature positions: 170-220º c.